Ice Wraps is an American store that offers products for cold and hot therapies to relieve pain in multiple parts of the body. Whether from an injury or pre-existing condition, these products can alleviate pain from knees to shoulders to ankles so you can get the treatment that works best. With Big Apple Buddy’s personal shopping service, you can now buy direct from the Ice Wraps online store anytime, anywhere. Can't stand the constant pain anymore? The ActiveWrap Hip Hot/Cold Wrap is life-saver. This is not an easy part of the body to ice or heat, but this wrap comfortably covers your hip and waist for a firm yet gentle grip that also has maximum coverage of the pain location. The cold and hot pack that resides inside the wrap offer the professional therapeutic temperature change that you need. 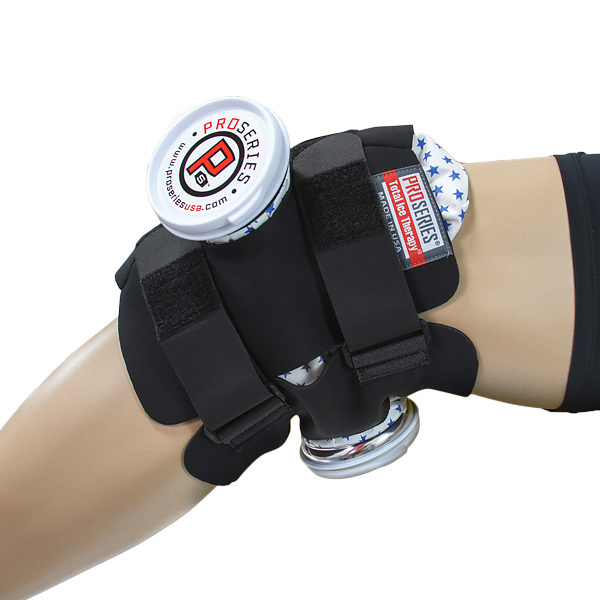 You can also take care of your knees with the ProSeries Double Knee ACL/PCL Ice Wrap. 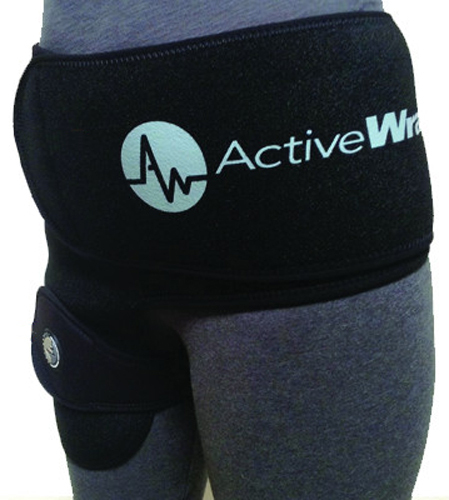 This professional wrap is easy adjustable with two straps and covers all parts of the knee joint for maximum relief. For consistent pain and swelling control, the ProSeries Wrap has two ice bags that will keep up the compression on your knee that needs it the most. This is especially useful after surgery and the recovery. 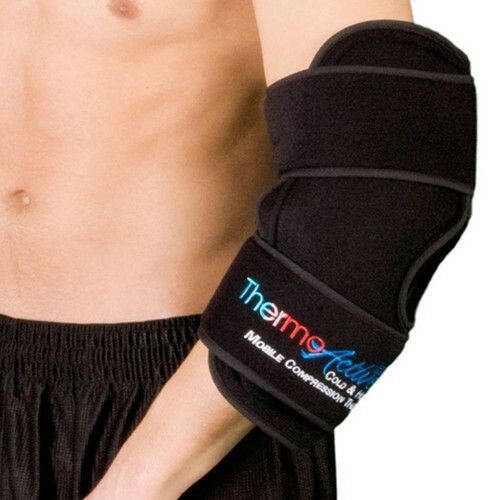 If you need support for your arms, the PolyGel ThermoActive Hot/Cold Elbow Support has you covered. It makes it possible to get the ideal R.I.C.E. therapy - rest, ice, compression, elevation - as you can freeze or heat the gel pack and switch when needed. After an injury or surgery, the PolyGel Support will be be there for the recovery process and make it easy and comfortable to wear as long as needed. Unfortunately, the USA Ice Wraps online store does not currently offer international shipping. However, Big Apple Buddy, your personal shopper, can help you buy products direct from the official USA Ice Wraps online store and ship them to your doorstep, no matter where you are in the world. We offer international shipping to over 190 countries including Australia, Austria, Bahrain, Belgium, Bosnia & Herzegovnia, Brazil, Brunei, Canada, China, Croatia, Cyprus, Denmark, Estonia, Finland, France, Germany, Hong Kong, Hungary, India, Indonesia, Ireland, Israel, Italy, Japan, Kenya, Kuwait, Lithuania, Macau, Malaysia, Maldives, Mexico, Namibia, Netherlands, New Zealand, Norway, Oman, Pakistan, Portugal, Saudi Arabia, Scotland, Serbia, Singapore, Slovenia, South Africa, South Korea, Spain, Sri Lanka, Sweden, Switzerland, Taiwan, Tanzania, Thailand, UAE, UK and Ukraine. If you would like to buy from the USA Ice Wraps online store, simply let us know which items you would like to order (by filling out the form on the right) and we’ll get back to you with a free international shipping quote within 24 hours!